Building a master schedule based on student need is one of the most important parts of running a successful school. Join instructor Heather Karuza as she teaches you the skills necessary for developing and implementing a Master Schedule. This is an introductory course designed to familiarize administrators and school leaders with the steps involved in building a secondary master schedule. Through the use of PowerPoint videos, discussion boards, and data-gathering assignments, participants will become proficient in the basics of master schedule creation and implementation. While this course is geared toward secondary administrators currently at a school site, other district level leaders may participate as well. 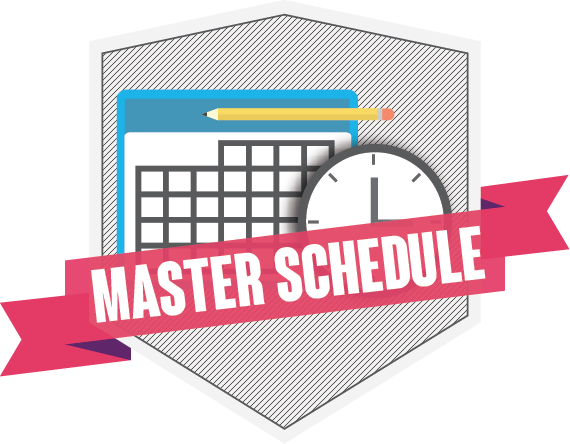 Register today and learn all the pieces necessary for solving the master schedule puzzle.